Demi Lovato has spoken about her struggles with an eating disorder, self-mutilation, drugs and alcohol. 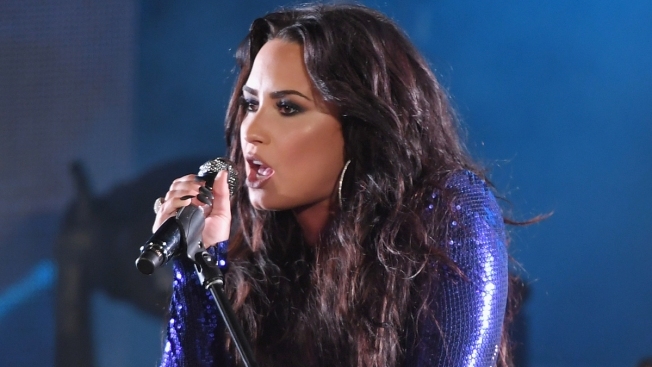 Demi Lovato has canceled the rest of her fall tour to focus on her recovery. The singer was scheduled to perform in Mexico in September and in South America in November but announced Thursday that she would not perform the shows. Over the weekend Lovato checked out of the hospital she was rushed to on July 24 for a reported overdose. The 25-year-old wrote a lengthy post Sunday on Instagram, saying she remains committed to overcoming addiction. Lovato has spoken about her struggles with an eating disorder, self-mutilation, drugs and alcohol. She celebrated six years of sobriety in March but recently relapsed, revealing the news in the song "Sober," released in June. The track hit a new peak this week on the Billboard Hot 100 chart, reaching No. 47.